The Mysteries Of Laura is getting a bit more to do on NBC this season. Deadline reported on Tuesday that NBC ordered five additional scripts of the Debra Messing series. The Mysteries Of Laura is the only freshman series that managed to survive its first season on NBC last season. NBC ordered a 13-episode second season. An additional five scripts would put the series at 18-episodes this season, but it is always possible the network could ask for more. Debra Messing shared the news with her fans on Twitter on Tuesday as well. The Mysteries Of Laura joins Law & Order Special Victims Unit and Chicago PD on Wednesday nights. 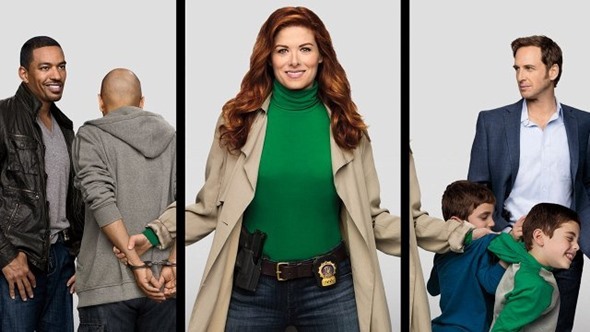 Are you excited to hear that NBC wants more of The Mysteries Of Laura? Tell us what you think. More about: The Mysteries of Laura, The Mysteries of Laura: canceled or renewed? The Mysteries of Laura: Cancel or Renew for Season Three? The Mysteries of Laura: Cancel or Keep the NBC Drama? My favorite show! Keep it coming! I have to admit i love this show. Season 1’s writing was a little weak but the show is tighter and better scripted this season. Love jake n the nanny. Give it another season. Come on. Its a comedy!!!!! Its not meant to be realistic just pure escapism….. at least for me n the family. I love the show; really love that Josh Lucas is more involved and working with Debra Messing’s character. Hope to see a season three-please renew it, NBC!! !